Chrysosporium anamorph of Nannizziopsis vriesii or CANV is more commonly known as Yellow Fungus. It is found in soil and is a cleaner fungus decomposing detritus, both animal and plant material. When it infects a live host it is an aggressive and fatal flesh eating fungal infection which is Necrotizing Mycotic Dermatitis. In studies, it has infected not only areas of open injured tissue but has been shown to infect intact healthy tissue as well. Clinically the incidents of yellow fungus is on the rise. 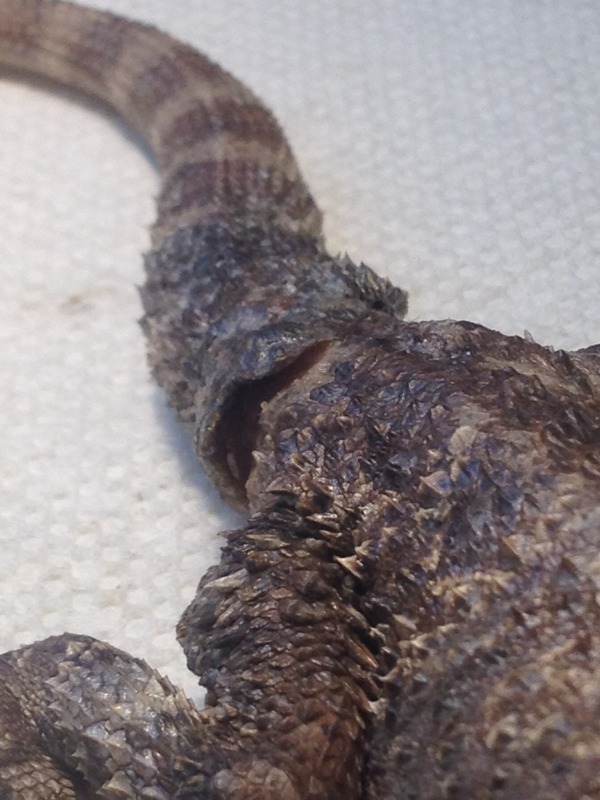 It has been isolated in some species of snakes, chameleons, leopard geckos, bearded dragons and crocodiles. Patches of bright to pale yellow, brown or grey can be seen initially. It has different color manifestations and is not just yellow despite its name. These patches spread and progress to become dark, elevated, cracked, and crusty lesions called hyperkeratosis. There can be a halo of tan, beige to shades of yellow. It does not necessarily surround the entire lesion but may. It can often be seen at some part of the margin. 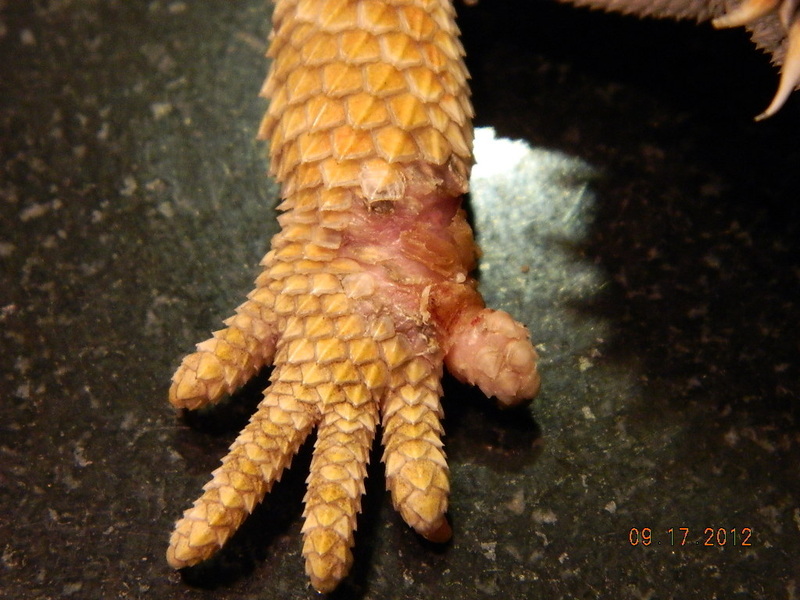 The cracked and crusty tissue sloughs off revealing raw open ulcerated wounds. As the yellow fungus spreads it infects every part of the body. 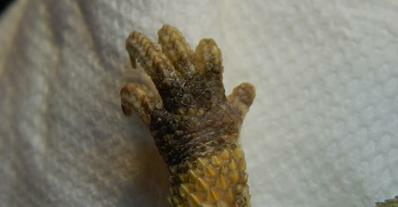 The reptile can loose fingers, toes, limbs, face, lips, and eyelids. Body parts can turn black and break or fall off. 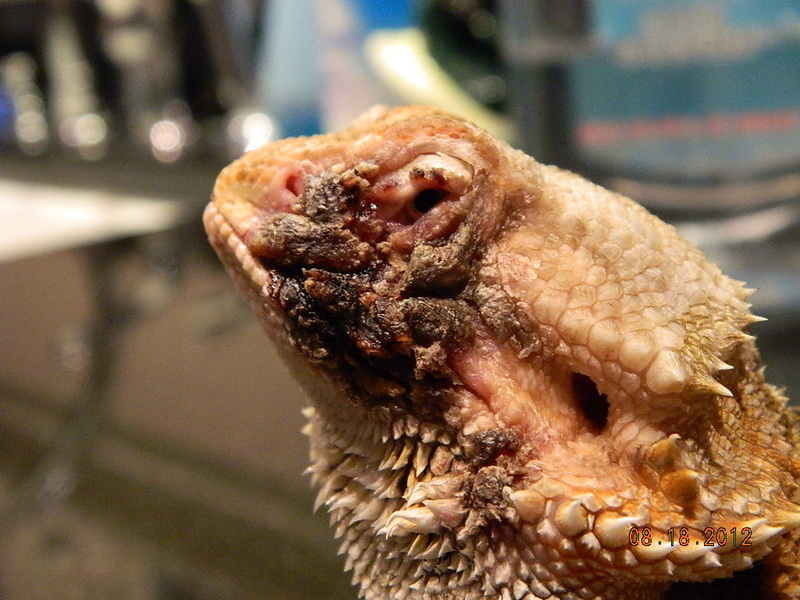 New lesions continue sloughing off leaving more raw open ulcerated wounds that crust over only to break open again. 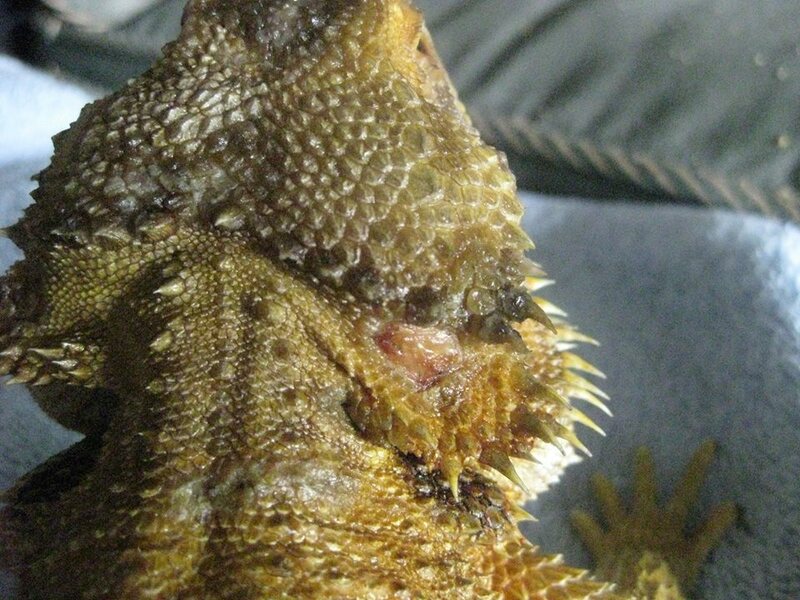 The reptile's general health deteriorates. 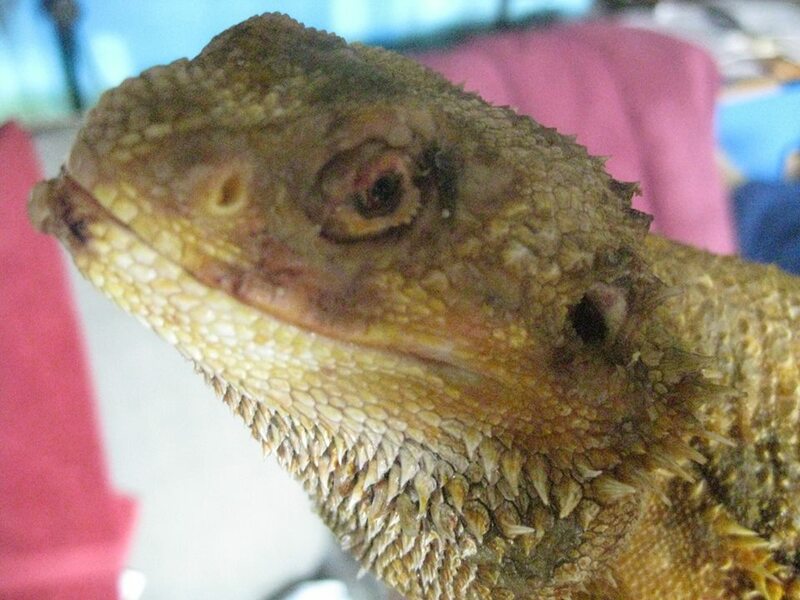 Though some reptiles are stoic, it can be said they are in pain as the fungus spreads through their body. At necropsy internal organs including the brain have been noted to be infected with the fungus. It is also noted at necropsy that in some cases the yellow fungus has spread subcutaneously to surrounding tissue before a surface lesion becomes apparent. Yellow fungus is believed to have a 2 to 5 week incubation period. Yellow fungus is a fatal disease. After it was identified it was believed to be treatable with oral and topical anti-fungals. Poor anti-fungal management of the infection have shown any benefit to be very short term with no remission. There is no cure. There are products that make false claims to completely cure yellow fungus but this is not true. 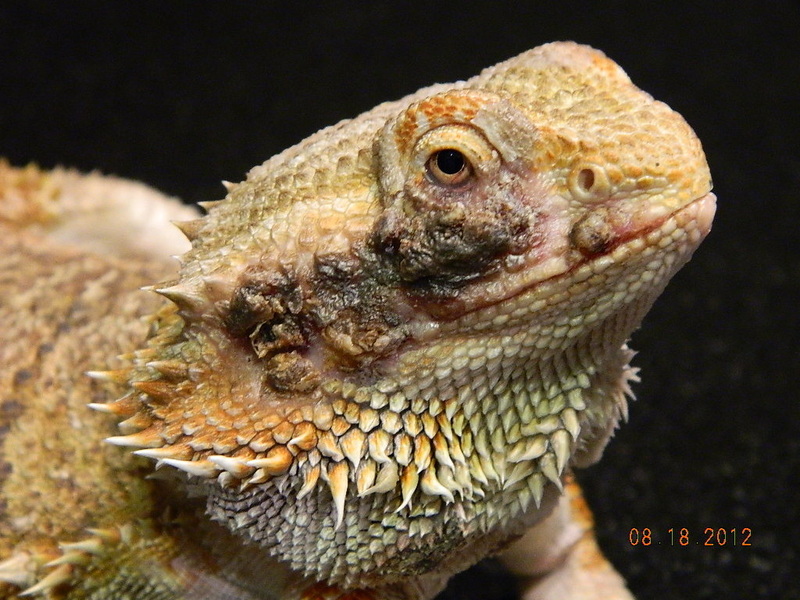 When misdiagnosed and without biopsy a vet would order antibiotic believing it to be a bacterial infection . In some studies the antibiotics are shown to have contributed to making the fungal infection worse. Considering the extreme pain they must feel as this disease progresses euthanasia should be a consideration. Quarantine can not be stressed enough and is always important. 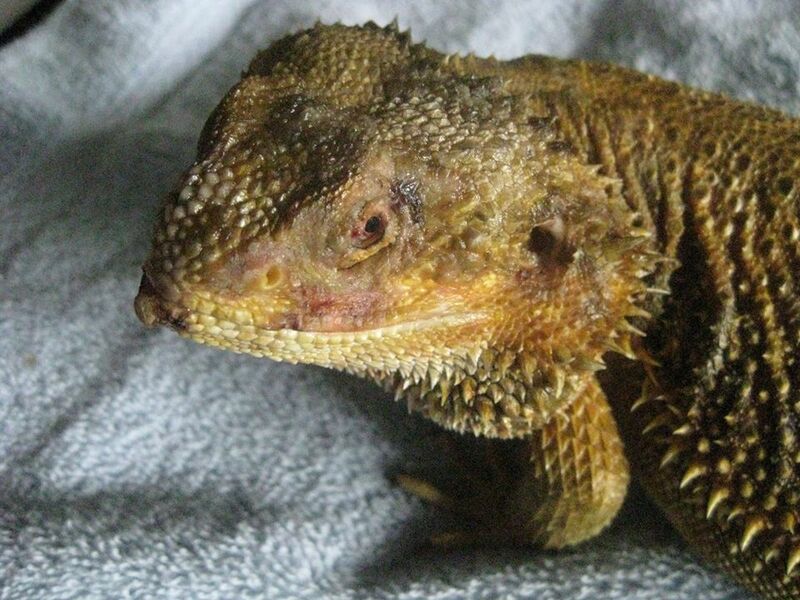 You never know what disease a new reptile may have. Practicing good quarantine gives opportunity for diseases they may have been exposed to time to develop. Our Quarantine guide has basic information to get you started using quarantine if you don't already. Yellow fungus is very contagious. It can spread through an entire population of reptiles very quickly. There is not a specific practice that can prevent yellow fungus. There are some common sense habits you can follow to reduce all contagions and it may help. 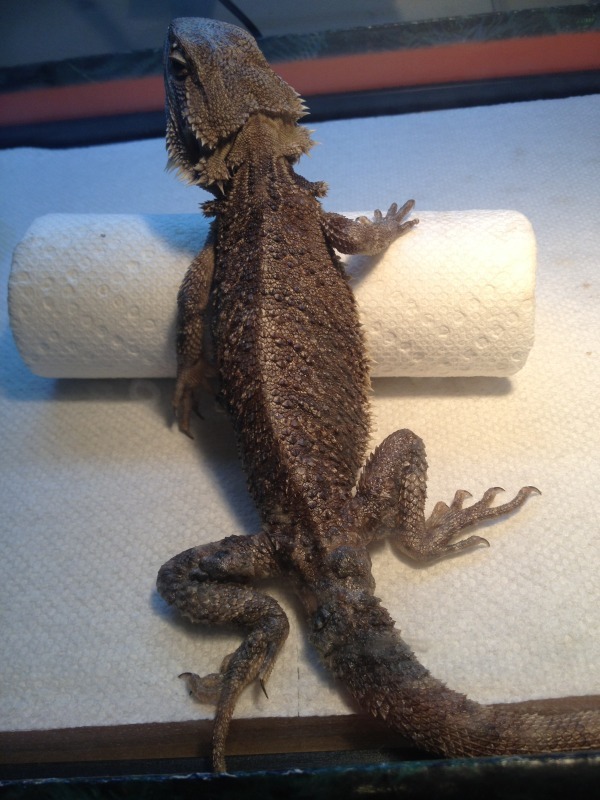 Hand washing before, after and between handling multiple reptiles. Remove waste as soon as possible. Keep substrate clean, change frequently. 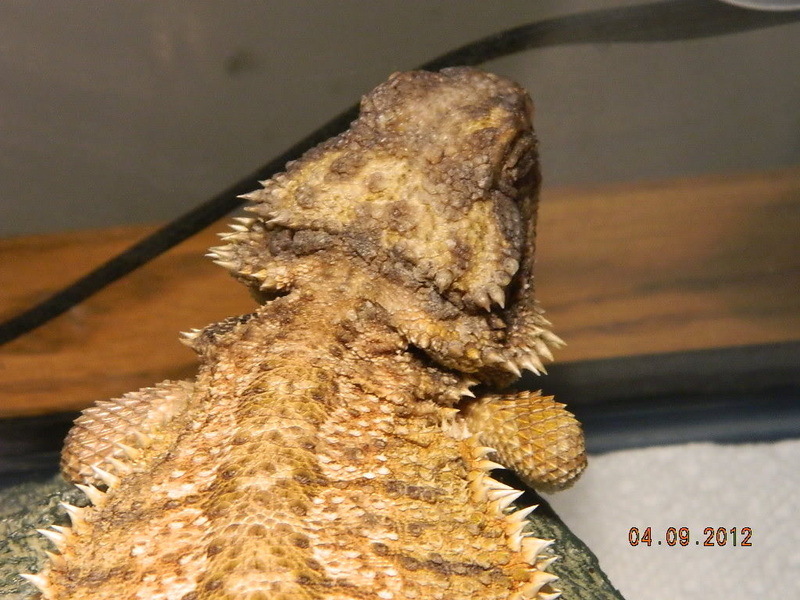 Schedule periodic thorough cleanings of enclosure and furnishing. Use appropriate cleaners and disinfectants. You can learn more on our Tank Cleaning and Disinfecting page. 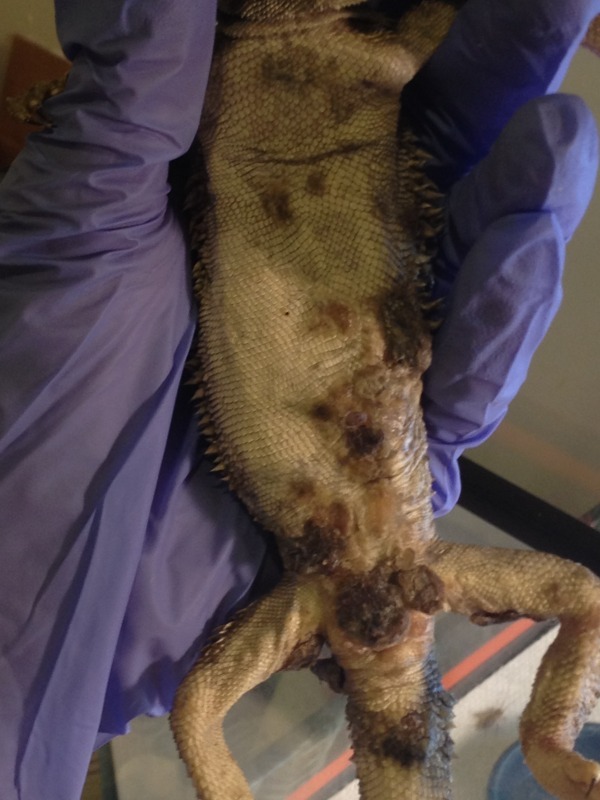 Do not move insects or other food between reptiles and enclosures. The follow links are but a few on Yellow Fungus. Many of them with the same insight.